Kathleen Nolan (born Jocelyn Schrum, September 27, 1933) is an American actress. 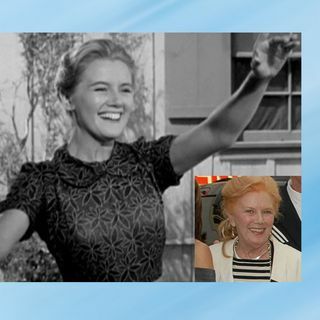 From 1957 to 1962, she played the role of Kate McCoy, a housewife in the Walter Brennan ABC television series The Real McCoys. She is often billed as Kathy Nolan. Nolan served for two terms as the first female president of the Screen Actors Guild(1975–79). She also served on SAG's board of directors for a dozen years. She is a life member of the Actors Studio and a recipient of the Women in Film Crystal Award. Thanks Bruce for your comments. Lydia reed is 73 now...She is out in the world somewhere. How come we never hear from Lydia Reed (Hassie McCoy)? She wasn't even on the reunion.... Hope she's doing well??? Loved the Real McCoys! I have every season on DVD!! !